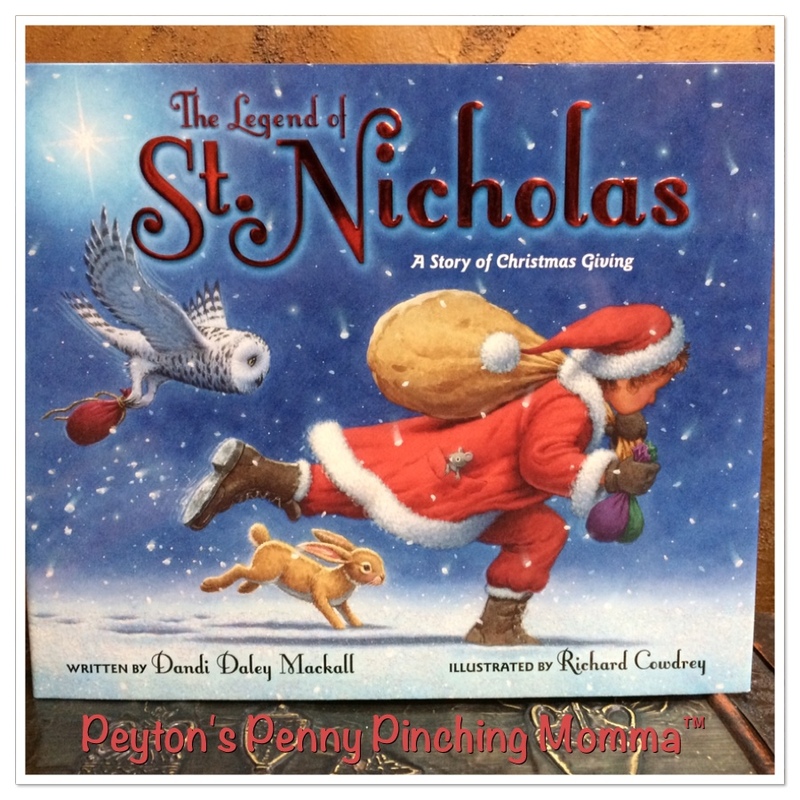 The Legend of St Nicholas is a Christmas Story about giving by Dandi Daley Mackall. The main character is young Nick, his father and him are heading to the store to buy Christmas presents. On the way into the store they pass a red kettle, Nick’s father hands him some money for the kettle. For a second Nick thinks about adding his own money to the kettle too, but then he remembered he’s hoping to have enough money leftover to buy himself something. Once inside, Nick’s father tells him to go find presents for his siblings while he works on the long list his mother gave him and they separate. As Nick is looking for presents he overhears the store Santa telling the story of St. Nicholas to the children in the Elf room ( a room children go to while parents shop). Nick stand in the doorway and listens to the story. As Nick listens to the story he starts to understand the meaning of Christmas. That it’s more about giving to others than receiving presents. And by the end of the story Nick is inspired! He wants to give gifts to as many little boys and girls as he can. So he takes his money, buys presents for his family and with the leftover money buys presents for children who have none. He even wished he was able to buy more and fill up the bin! Huge change from when Nick first entered the store. He no longer thought of himself. He was thinking of others. The Legend of St Nicholas helps children understand that Christmas is not about receiving presents. It’s about giving and helping those less fortunate. As history has said Saint Nicholas was a friend to the poor. And the Legend of St Nicholas reminds us of this. You can pick up your own copy of The Legend of St Nicholas on Amazon.